There’s a better way to provide care – not just for your patient, but also for yourself, your family, and your lifestyle. 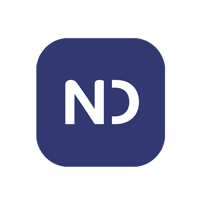 NurseDash was founded in Houston, Texas by a team of healthcare and start-up professionals. Working in the industry, we saw that a need existed for flexibility among medical professionals and a better staffing solution for facilities. NurseDash provides professionals and facilities alike, a way to close the staffing gap in healthcare by using new technology that is simple and effective. Ready to get started? Fill out the simple form below and we will be in touch!